You are here: Home / Frequently Asked Questions / Should I Try to Return to Work? Should I Try to Return to Work? Is it a good idea for you to try to return to work after being out on workers’ compensation? In difficult economic times, many of my clients are worried about losing their jobs. Fear of job loss sometimes causes injured workers to delay reporting their work injuries in the first place, and the same fear prompts workers to try to return to work as soon as possible after a job injury. 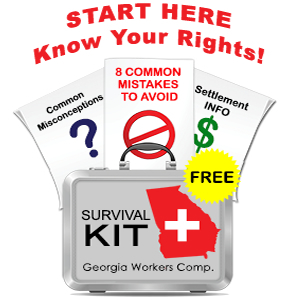 Specifically, if you return to work without first requesting and receiving State Board Form WC-240 from your employer, and you discover that you cannot perform the work because of your injuries, your benefits will not resume automatically – and in some cases, you will have to hire a lawyer, request a hearing and wait several months to get before a judge. You can read more about the important State Board form WC-240 on my blog. This video also explains how to proceed if you are offered a light duty job.